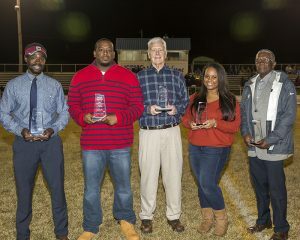 Three former athletes and two former coaches/department contributors were inducted in the fifth class of Florence County School District Three’s Athletics Hall of Fame Friday, November 2. 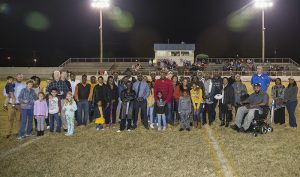 Quentin Robinson, Brian McFadden, Marcus Simmons, Dr. Lane Floyd, and Jeff Henneghan were inducted during a halftime ceremony of Lake City High School’s football game against Loris at Ward Memorial Stadium. 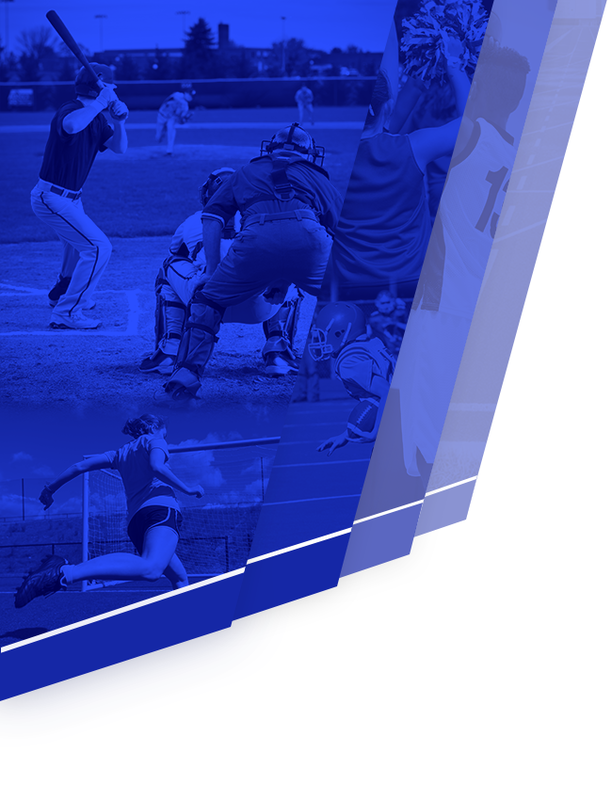 The Athletics Hall of Fame recognizes outstanding athletes, coaches and others who contribute to athletics from current and past high schools in the district. 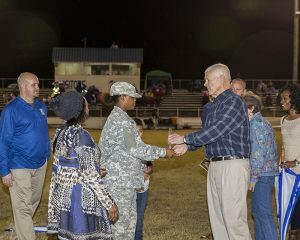 Dr. Lane Floyd graduated from Lake City High School in 1965 and returned home to start a 26-year career in Florence County School District Three. 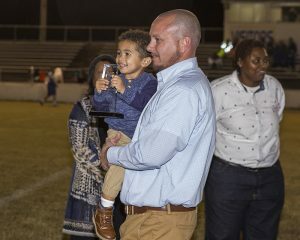 Floyd began his career in the classroom and coaching football and golf, but soon made his way into administration as an assistant principal at Lake City High School. From 1983-89, he served as the principal of LCH before moving into the role of Assistant Superintendent from 1989-91. 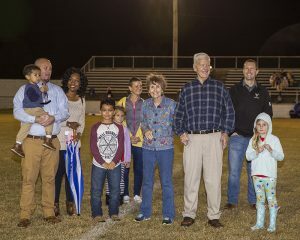 In 1991, Floyd was named as the Superintendent of FCSD3 and began a 10-year journey focused on improving the districtwide facilities with an emphasis on the dated athletic fields. 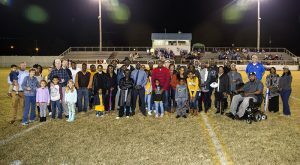 Dr. Floyd is responsible for the construction of the baseball and softball fields at Lake City High School as well as the addition of the current gymnasium and athletics offices and locker rooms. 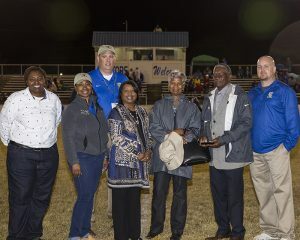 He also oversaw the renovation of Ward Memorial Stadium with new playing turf and also the demolition of the original concrete stands which were replaced by the current aluminum bleachers. 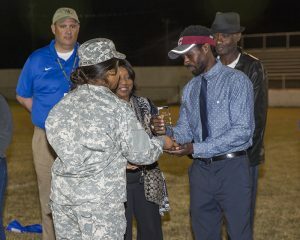 Dr. Floyd made sure that financial and personnel emphasis was placed in the athletic department to ensure the growth and success of the programs. 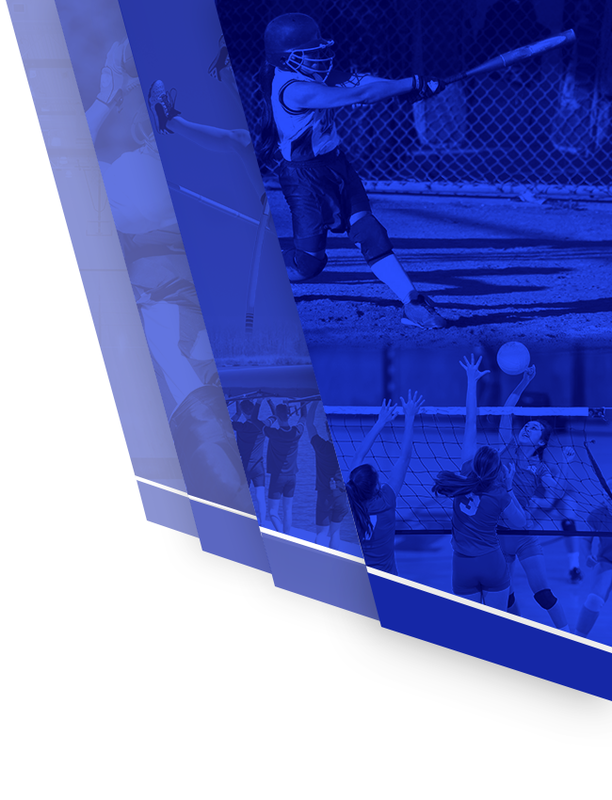 Outside of the athletic department, Floyd approved the construction of the Lake City Early Childhood Center, additional classroom wings at four elementary and intermediate schools, and oversaw the complete renovation of the current Blanding Street location of the FCSD3 District Office. Dr. Floyd received the S.C. School Boards Association’s Outstanding Superintendent Award and was named Administrator of the Year by the S.C. Association of School Administrators, the Educational Administrator of the Year by the S.C. Association of Educational Office Professionals, Tech Prep Superintendent of the Year by the S. C. Department of Education and Superintendent of the Year by the S.C. Vocational Directors Association. 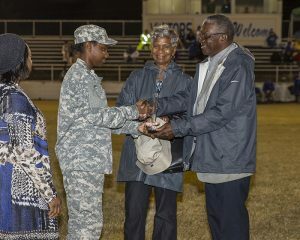 After retiring in 2001, Dr. Floyd returned in 2012 for a five-year stint on the FCSD3 Board of Trustees. Dr. Lane Floyd resides in Lake City with his wife of 41 years, Susan Weathers Floyd. The couple has two sons, Jim and Scott, and four grandchildren: Elijah, Eleanor, Evelyn and Isaiah. 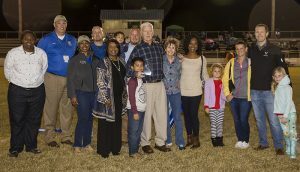 A 1963 Carver High School graduate, Jeff Henneghan was the backbone of not only the Lake City High School Athletic Department, but numerous other Lake City High School endeavors over his 45 year career. After graduation, Henneghan began a long career in the United States Army and Army Reserves. He was a decorated member of the Vietnam War and Operations Desert Shield and Storm. In 1972, Henneghan graduated from Morris College with a B.S. in Physics and began his career with Florence County School District Three. During his career, he taught various sciences for over 30 years. Upon leaving the classroom, Henneghan took over several roles including truancy, administrative assistant and technology specialist. 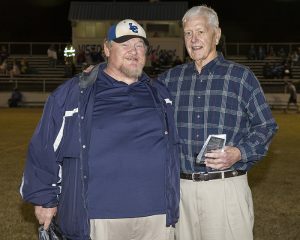 Over the course of his career, he coached basketball, football and baseball, but he made his biggest mark in the athletic department by handling the ticket sales at every Lake City High School athletic event for over 25 years. Henneghan also personally handled all concessions operations including organizing the staff, inventory and ordering. 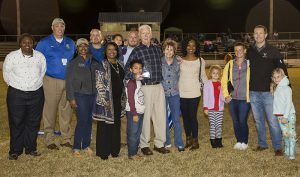 Jeff Henneghan retired from Florence County School District Three in 2017. He has been married to his wife, Linda, for 48 years. The couple has two children: Dr.Tedric C. Henneghan and Dr. Jenisha L. Henneghan. “I was in total shock knowing that I made such an impact in life,” said Henneghan. 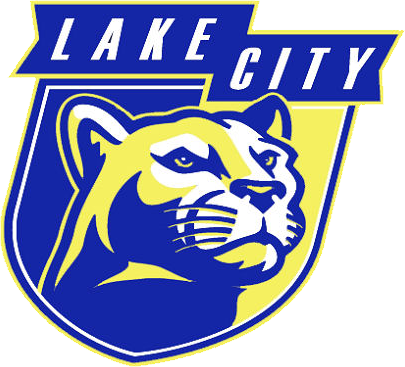 Brian McFadden was an integral part of the Panthers’ dominant wrestling program of the early 2000s and a key performer on Lake City’s 2002 SCWCA state championship squad. A 2003 Lake City High School graduate, McFadden compiled an impressive four-year career as a four-time region champion, two-time Lower State champion, three-time All-State performer, two-time third place state individual finisher, and the 2003 140-pound Individual State Champion. McFadden was named the 2003 AAA Wrestler of the Year, was named to 2003 North-South All-Star Wrestling squad, participated in the 2002 Senior Wrestling Nationals, and finished his career with more than 125 wins. He also lettered two years for the Panthers’ football program. Following graduation, McFadden signed to wrestle collegiately at Spartanburg Methodist College where he was a two-time National Junior College qualifier. After gaining his Associate degree in business at SMC, McFadden completed his Bachelor’s degree in business at USC- Upstate and also his Master’s degree in management and leadership. Brian McFadden currently resides in Spartanburg and is the owner of BM Service Professionals. Quentin Robinson graduated Lake City High School in 2002 as a three-sport standout. 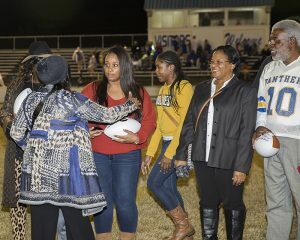 On the gridiron, Robinson was a two-way starter at offensive guard and middle linebacker for Coach Mickey Moss. A 3-year letterman, Robinson was a two-time All-Region selection, a two-time All-State honoree, and finished his career with over 300 tackles. 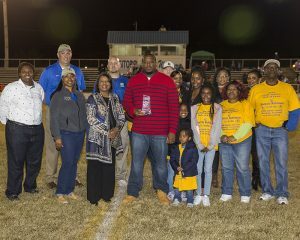 He was named to the 2001 WPDE All-Zone team and participated in the 2001 North-South All-Star football game. 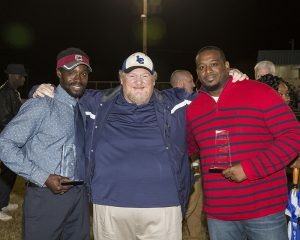 Robinson was also another key cog for Coach Mark Tillotson’s wrestling program and 2002 SCWCA state championship team as a four-year letterman, three-time region champion, two-time All-State honoree, and 2002 AAA Individual State Champion at 215-pounds. He was named to the 2002 North-South All-Star Wrestling team. Robinson also lettered two years in baseball for the Panthers. Robinson signed to football at South Carolina State University, but his career was cut short by injury. Quentin Robinson is currently the Chief of Police for the Atlantic Beach Police Department. He is married to Ashley (Burges) Robinson, and the couple has three daughters, Camille (10), Destiny (6), Isabella (2), and son Quentin, who passed away in 2013. Marcus George Simmons was a 1993 Lake City High School graduate. 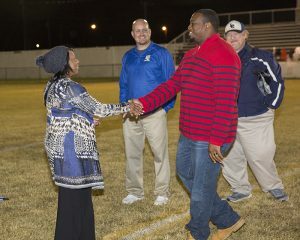 Known for his blazing speed, Simmons carved out an impressive four-year career for the Panthers in football and track. A four-year starter for Coach Mickey Moss, Simmons played quarterback, tailback, and defensive back over his career. 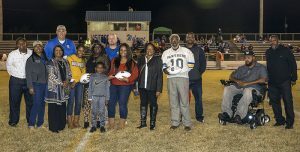 A three-time All-Region selection, Simmons rushed for 650 yards and nine touchdowns as a junior despite missing five games due to injury. During his All-State senior season, Simmons overcame a preseason ankle injury to still gain 949 yards and tally 14 touchdowns. He was named as one of the top 200 high school football recruits in the nation by Max Imfinger Recruiting. Also a standout on the track, Simmons was a four-year state qualifier in sprints and relays. 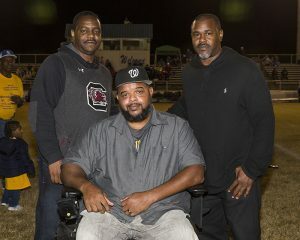 He was a member of the Panthers’ 1993 State Champion 4×100 meter relay team. 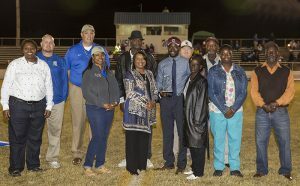 After graduation, Simmons signed a football scholarship with the University of South Carolina Gamecocks. On July 5, 1998, Marcus Simmons was tragically lost in a car accident. 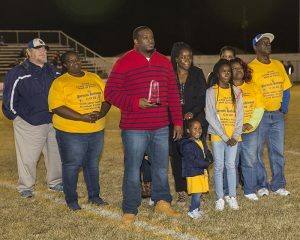 He is survived by his parents, Mr. George Simmons and Mrs. Clemestine Rainey, stepmother Jacqueline Simmons, siblings Crystal Simmons-McClam, Samantha Rainey, Elliott Simmons and Jatrelle Simmons and daughter Sharmaine Simmons.